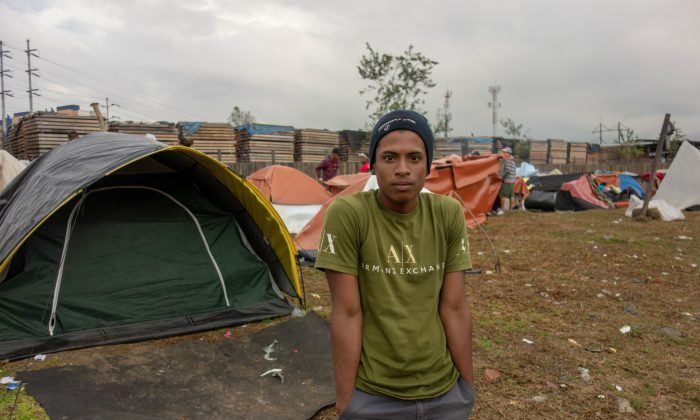 Urdaneta is one of the many Venezuelans who have fled their crisis-stricken country. According to a new report by the United Nations High Commissioner for Refugees (UNHCR), the number of people who have left Venezuela for other destinations around the world has now reached 3 million, roughly one in 12 of the nation’s population. The camp sprung up as individuals desperately made homes with the few possessions they had carried via bus—or even on foot—having just arrived hundreds of miles away from Venezuela. The camp was later formalized by the local municipal administration with residents formally registered and offered some government support. The humanitarian crisis has since, however, outgrown the camp, and most now line the banks of a polluted river and the edges of a disused rail track instead. Those outside the formal camp say they wish they had the additional benefits which those inside deny ever existed. Around 300 to 400 reside in the area; residents prepare food that is sometimes donated by nuns, NGOs, or other benevolent individuals and cook it over fires. Families congregate with their children on the adjacent road to beg, clutching their now virtually worthless Venezuelan bolivar notes. Many are part of the latest wave to flee oil-rich Venezuela’s ever-worsening political and economic turmoil. Security is in rapid decline, hyperinflation is predicted to skyrocket to one million percent, and food and medicine shortages are widespread. Over a million of those who have fled Venezuela are living in Colombia—with around 3,000 more arriving every day. Colombia’s foreign minister, Carlos Holmes Trujillo, said recently that the number of Venezuelans migrating to Colombia could reach 4 million by 2021. After Colombia, Peru has taken the second highest number of Venezuelans with 500,000, followed by Ecuador with 220,000; Argentina with 130,000; Chile with 100,000; and Brazil with 85,000 migrants. Venezuela’s neighbors have “largely maintained a commendable open-door policy to refugees and migrants from Venezuela; however, their reception capacity is severely strained,” said Eduardo Stein, UNHCR-U.N. Migration Agency (IOM) representative for refugees and migrants for Venezuela. In August, Ecuador introduced passport restrictions for Venezuelans but the new rules were defied as groups crossed illegally. Many do not hold passports; the government blames ink and paper shortages for delays. The shared language (minus Brazil) and smaller differences in religion and culture compared to other international migration routes have helped regional sentiment remain open to migration. 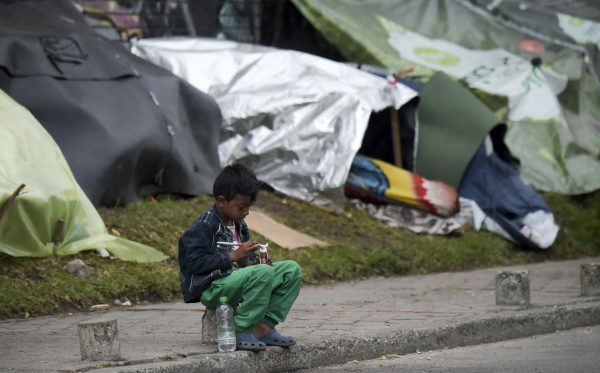 This openness, however, could come under strain with the acceleration of the exodus: 1,200 Venezuelans fled their migrant camp near the Brazilian border in August after attacks from locals, and there are increasing reports of attacks in Colombia against Venezuelan migrants. 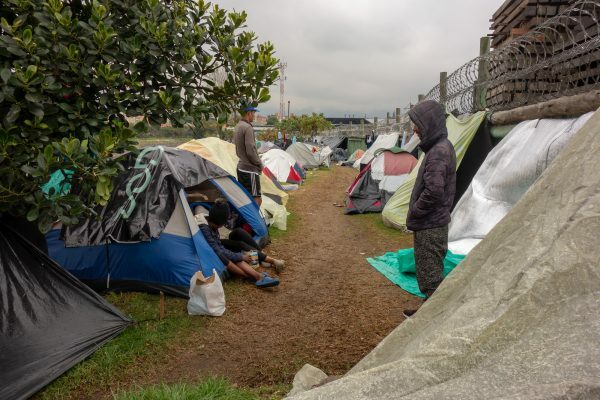 Adam Isacson, an expert on Colombian security at the Washington Office on Latin America, said it’s hard for the neighboring countries to assimilate the migrants at the rates that they are entering the countries’ borders. “These are countries that already have high rates of underemployment with people making sub-minimum wage in the informal sector. The arrival of hundreds of thousands of poor Venezuelans intensifies competition for the economy’s scraps,” Isacson said. The Colombian government estimates that the migrants’ impact on health, education, and infrastructure could cost around 0.5 percent of the country’s GDP. 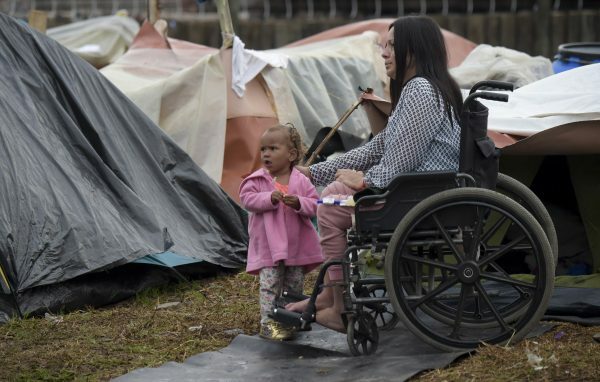 Despite the dire conditions at the camp, scarce job prospects, and what some say is “bad treatment” from their neighbors, none of the migrants The Epoch Times spoke to express a wish to return to Venezuela any time soon. Gregorio earns just enough to eat some bread and fruit each day by begging on the local bus system. If they are lucky, he and his friends can send around $2.50 extra home to their family every few days. He hopes prospects in Ecuador or Chile will be better and is not pinning his hopes on a quick return to his family.